"An extremely informative and useable book covering many aspects of communication ... highly recommended for students and practitioners in the mental health field, whether nurses or not." Mental Health Practice "Learning to communicate effectively is vital for all nurses ... 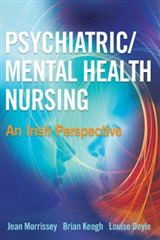 This exciting new book, with an accessible and engaging style, provides nurses working in mental health, with a valuable and comprehensive introduction to successful communication." Martina Mc Guinness, Nurse Practice Development Co-ordinator, HSE Dublin, Ireland "The book is thought provoking and provides examples not only of what we should be doing but also examples of what we should not to be doing. 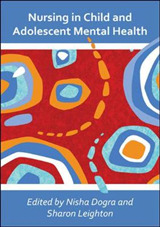 It is a text that I would have loved to have had access to in my student days and early practice and would therefore strongly recommend this book to students and indeed beginner mental health practitioners of any discipline." 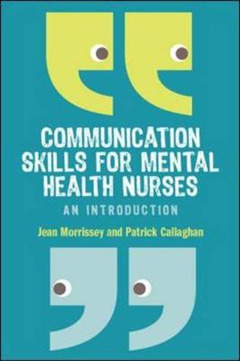 Sinead Frain, Clinical Nurse Specialist - Home Care Ballyfermot/Lucan Mental Health Service "This accessible book takes you through the core communications skills required as a novice through to a more advanced level... The inclusion of clinical scenarios and practice exercises demonstrate clearly how to apply theoretical elements whilst working in a clinical situation ... 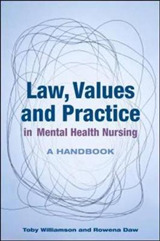 It is a very good read and a valuable tool for anyone stepping out into the world of mental health nursing!" 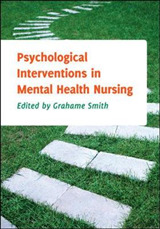 Antony Johnson, Mental Health Nursing Student, University of Salford, UK "The combination of knowledgeable discussion and richly illustrated case examples makes this an innovative text and an essential resource for those who are challenged with delivering mental health care. A must read for all students." Allison Tennant, Nurse Consultant and Psychotherapist, Rampton Hospital, UK "This useful book focuses on the skills that are absolutely central and essential to all mental health nursing, from basic communication skills to specific interventions and approaches." Dr Neil Brimblecombe, Director of Nursing/Chief Operating Officer, South Staffordshire & Shropshire Healthcare NHS Foundation Trust "This is a fantastic book, absolutely packed with just about everything a mental health nurse needs to know about communication skills ... The succinctly written chapters cover a wide range of key communications skills and each provides clear explanations, examples from 'everyday' life and clinical practice, with opportunities to reflect on your own experiences. Highly recommended." 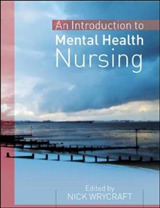 Alan Simpson, Professor of Collaborative Mental Health Nursing, City University London, UK This practical book provides a comprehensive guide to communication in mental health nursing, with an emphasis on demonstrating the use of different skills in various clinical settings. Written by experienced mental health professionals, the book is richly illustrated with a range of clinical case examples that will be recognisable to all nurses. Centred on the communication process as a whole, the topics are carefully presented through the use of patient-nurse dialogues and exchanges which bring the subject to life. This will help you to: Develop essential communication skills Communicate confidently Use phatic communication effectively Use self-reflection in your practice Develop the ability to deal with conflict Develop empathic helping relationships Draw upon various therapeutic models of communication Communication Skills for Mental Health Nurses is ideal for all nurses and healthcare professionals seeking to improve the skills required to communicate confidently and effectively with patients, their carers and other key people involved within the care environment.